Bridgetown is steeped in rich history, evidenced in some of the centuries old British colonial architecture which remains today. This well-preserved city built in the 17th, 18th and 19th centuries, was originally named "Indian Bridge" for the rude bridge which had been constructed over the river (now known as the Careenage) by the Amerinidians. It was later called the "town of St. Michael" in official documents, before finally being named Bridgetown. 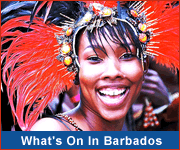 Bridgetown is home to many historical sites and attractions that are well worth a visit on your Barbados vacation. 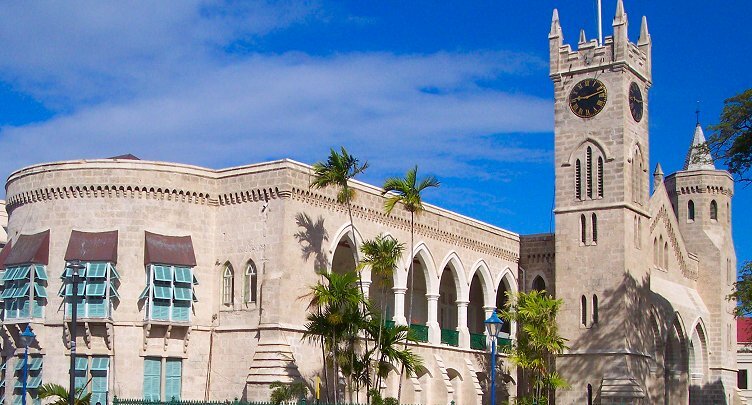 It is home to the Parliament Buildings of Barbados, National Heroes Square (formerly Trafalgar Square), Independence Square, St. Mary's Anglican Church - the site of the first city church, Jubilee Gardens - originally earmarked as a garden to commemorate Queen Victoria's golden jubilee, the Chamberlain Bridge, the Careenage, the Jewish Synagogue - one of the oldest synagogues in the western hemisphere, and so much more. The Chamberlain Bridge was opened in 1872 and was a manually operated swing bridge allowing entry into the inner basin of the Careenage. In 2006 the Chamberlain Bridge was replaced with a modern lift bridge. In previous times, the careenage was an important hub of activity for inter-island trading vessels. In fact, Bridgetown was often the first port of call for ships making the trans-Atlantic crossing from Africa. In the 17th century, it was regarded as the center of the British Atlantic trade, as an entrepôt for the trade of goods (especially sugar) and slaves. 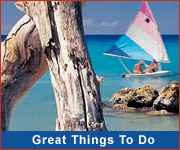 Today the careenage is mainly used by pleasure craft (catamarans, yachts, fishing boats, etc). This historic city and its nearby Garrison are today recognized as a UNESCO World Heritage Site. Take a virtual tour to explore the area. The Parliament Buildings of Barbados are located at the top of Broad Street. 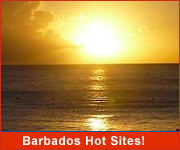 The Barbados Parliament was established in 1639 and is the third oldest Parliament in the entire Commonwealth. In 2006 the West Wing of Parliament underwent refurbishment. 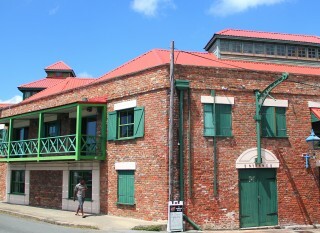 The refurbished buildings house the Barbados National Heroes Gallery and Barbados Museum of Parliament. Opposite the Parliament Buildings, you will find the old "Trafalgar Square" and a statue of Lord Nelson. The Lord Nelson statue, erected on 22 Mar 1813, is older than the statue and square of the same name and fame in London. "Trafalgar Square" was officially renamed National Heroes Square in April 1999, in honour of the national heroes of Barbados. 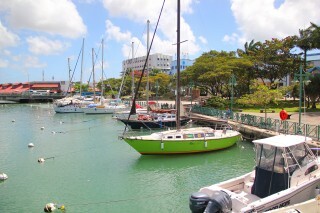 Join a local guide for a fun and informative walking tour of Bridgetown.